After residency, she and her family relocated to sunny Scottsdale, AZ where she joined the medical staff at St. Joseph’s Hospital working with patients in the inpatient setting at Valley Hospital. In 2013 she had the opportunity to join the Phoenix VA Healthcare System and worked with patients both in the inpatient and outpatient settings. She enjoys providing medication management in combination with individual therapy and has found that the best outcomes are when the two treatments are used in combination. When not working, Dr. Wicklund enjoys spending time with her family and friends, reading, and doing jigsaw puzzles. She looks forward to working with you to improve your wellbeing and reach your full potential! Mr. Wright is a board certified Physician Assistant with a background in general medicine. He completed his graduate training in Physician Assistant studies at Midwestern University in Glendale, AZ in 2014. After graduation, Mr.Wright joined the ENT department at the Phoenix VA Hospital. His interests include the interface between general medicine and psychiatry as well as interventional psychiatry. His areas of interest in mental health include mood disorders, ADHD, PTSD, and substance use recovery. When not working, he enjoys spending time with his family, reading, painting and photography. His family enjoys local phoenix activities such as the Phoenix zoo, hiking the various area parks, and bicycling, when the weather agrees! He is also an avid Green Bay Packers fan and watches with his kids regularly. Michael is a veteran of the armed services having served in both the Army and Air Force. As an active member of the Army he served as a combat medic in Colorado and South Korea. After leaving the Army he transitioned to the Air Force National Guard with the 119th Fighter Wing in Fargo, North Dakota where he was a fire fighter and EMT. During his Air National Guard service, he moved up through the ranks as a captain and eventually an assistant fire chief. As a Physician Assistant, he looks forward to continuing his work with veterans and first responders in our community. Dr. Kim Hill is committed to treating each client with respect, compassionate care, and the highest quality of professional services. Dr. Hill is a relational/interactive style therapist that believes in developing a strong therapeutic partnership with a client. She provides effective support in teaching coping skills, emotional regulation skills, interpersonal skills, and effective boundary skills to benefit the client moving forward with increased resources of support, hope, emotional resilience, and healthy life changes. Dr. Hill provides marital/relationship counseling, family counseling, individual therapy, and supportive group therapies. Dr. Hill works with issues related to marital/family relationship needs, divorce recovery, parenting support, adolescent issues, premarital counseling, anxiety and depression disorders, stress symptoms, coping skills, major life transition challenges, boundary related issues (work/life balance struggles and codependency), diagnostic clarification needs, psychological testing, and personal growth and life coaching needs. Kim Hill's educational background consists of a Ph.D. in Clinical Psychology from Rosemead School of Psychology at Biola University, a Master's degree in Clinical Psychology from Biola University, and a Master's degree in Community and Clinical Psychology (Marriage and Family Therapy Specialty) at Pepperdine University. Dr. Kim Hill is licensed in Arizona state as a Clinical Psychologist. Dr. Hill's professional experience consists of 25 years of clinical experience providing individual, marital/family, group therapy, and psychological testing in a variety of mental health settings from psychiatric in-patient, intensive outpatient, rural hospital mental health programs, community based mental health, and metropolitan based outpatient private practice. Dr. Hill's clinical experience includes developing and implementing successful outpatient clinical programs, providing clinical supervision to Master's and Doctoral level therapists, and an expertise in providing clinical services to in-patient and outpatient clients. Dr. Hill enjoys providing community education through corporate based employee seminars, administration/parental school events, family church groups, as well as providing media coverage as a Clinical Psychologist contributor to ABC 15 Arizona's, Sonoran Living. Dr. Kim Hill is committed to bringing encouragement, hope, and healthy changes for each client to live their best life possible. Dr. Hill is an expert in providing individual focused, and relationship counseling, as well as supportive groups, all of which promote skills training for stability, accountability, and healthy changes. Dr. Hill is an advocate for helping clients to define their values and priorities for wise decision making, develop wise boundaries for a healthy work/life balance, improve coping skills and emotional resilience, and build stable/fulfilling relationships. Ms. Cloutier is a licensed counselor with over 18 years of experience providing counseling and crisis intervention for adults and children in a variety of settings. She specializes in addiction, trauma, and co-occurring disorders. She is trained in trauma informed care practices and a variety of therapeutic techniques, such as cognitive behavioral therapy, motivational interviewing, solution-focused brief therapy, self-soothing, and person-centered therapy. She believes that people are unique and possess the courage and strength to make necessary changes that will promote healing and takes pride in providing quality care to all patients. In addition to her work with MIH, she is also a college professor and teaches classes in counseling theories, addiction, psychopathology, crisis intervention and ethics. In her free time, she loves spending time with family and friends listening to music, hiking, traveling and cooking. She also enjoys reading, going to the theater, attending sporting events (especially football, hockey and college basketball) and concerts. Ms. Dougherty joins MIH as a certified medical assistant and office manager. She graduated from Concordia University in Irvine, California with a bachelor’s Degree in Biology. She is currently working towards applying to medical school. She has worked in a variety of physician offices throughout her undergraduate education, and her passion for medicine and for helping patients continues to grow with each experience. She is excited to meet you and help with your care! Mr. Gentry joins MIH as an office manager. He graduated from Arizona State University where he majored in biomedical engineering and received a Bachelor’s Degree. He is now a prospective medical student with a strong interest in anesthesiology and orthopedic surgery. When not working, he enjoys dedicating his time to health and fitness and competes internationally in martial arts as a part of Team AKA. The providers at Mindfully Integrated Health work closely with a number of practitioners in the Scottsdale area. Several of these practitioners offer their services in the Mindfully Integrated Health offices. LIGHTHOUSE is a unique, non-medication-based interventional psychiatric clinic. We primarily focus on the noninvasive neuromodulation TMS treatment. Our psychiatrists only do consults for appropriateness for TMS and/or other procedural-based treatments. Hence, our psychiatrists do not manage medications nor provide chronic psychiatric care. We deliver a customized approach and solution to help individuals. Our psychiatrists will coordinate care with your prescribing doctor during your TMS treatment course. At LIGHTHOUSE, we offer a unique synergistic approach to delivering TMS therapy to further increase the intrinsic biological effects of TMS. Only at LIGHTHOUSE, our therapists are also TMS certified and deliver a customized form of therapy to our TMS patients. Our patients have the option to combine cognitive-behavioral talk therapy with the biological effects of TMS. This produces a synergistic effect yielding greater outcome not seen at other TMS clinics. Our experienced therapists are very passionate about helping patients overcome their challenges and recapture their life. Our therapists specialize in individual, family, couples & marriage, and trauma/EMDR therapy. We see children/adolescents to adults. Fountain Hills Recovery provides the highest quality substance abuse care with a wide range of treatment options so you can choose a plan that fits your needs. Whatever your expectations for treatment are, our experienced professionals are here to work with you. 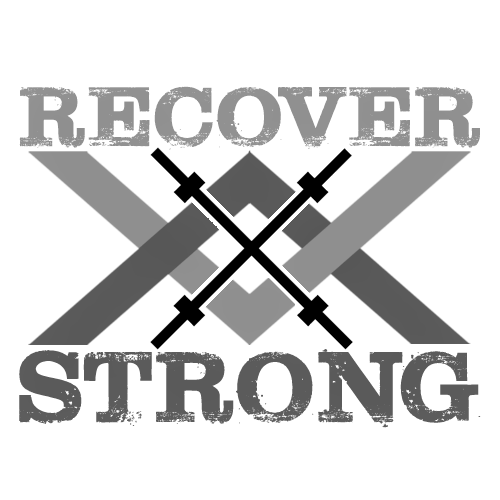 We will help you develop and meet your own recovery goals and realize your potential for a life of sobriety. Our patients enjoy support throughout the recovery process, and beyond. Most of our staff are in recovery themselves, so they actually understand how your addiction feels. This gives our addiction counselors a unique advantage when helping you tackle your addiction. Our goal is to make Fountain Hills Recovery the place where life got better for you. But we also want to make sure that life stays better, even after you leave our care. That’s why we focus on evidence-based methods and practices that lead to sustainable sobriety. Dr. Wicklund and PA Wright currently provide medical direction for both mental health and general medical needs. This allows for continuity of care across the recovery and outpatient settings. Karen Gordon is a Licensed Clinical Social Worker (LCSW) with over 15 years of experience and is passionate about helping individuals navigate their life story. She has spent much of her career supporting and counseling individuals and families who have been faced with the challenge of navigating a life threatening or life limiting illness. She has worked with individuals who have felt a sense of hopelessness and heightened emotions that are the result of extreme stressors beyond their control. Throughout her years of practice she has witnessed tremendous strength and growth in individuals when they are provided with a therapeutic space to address their goals and concerns. Certified Life Coach, Clinical Hypnotherapist and Holistic Wellness Practitioner Inga Tara helps clients remove blocks to health and happiness by healing emotional traumas caused by past traumatic events and failed relationships. Mrs. Tara recognizes that our thoughts, emotions and physical body are all integral parts of our health and well-being. She has been a practitioner of mindfulness, meditation and a mind-body-spirit approach to health for over 13 years. Inga holds a M.S. in Applied Mathematics and is a graduate of Southwest Institute of Healing Arts with specialties in Clinical Hypnotherapy, Life Coaching, Holistic Nutrition, Usui Reiki Master and has extensive training in other related healing arts both in the US and Europe. To find out more about Inga Tara and her services, visit her web site www.ingatara.com.